For one night only, legendary actor and Renaissance man Paul Sorvino will wow audiences with his powerful voice in Paul Sorvino Sings, a one-man performance of operatic arias, popular standards and classic Neapolitan love songs. One of Hollywood’s most iconic personalities, Paul Sorvino will be performing the concert this week at the beautifully restored Saban Theater in Beverly Hills on Friday November 11th at 8PM. 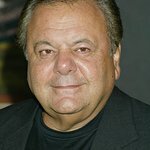 Though best known for his roles in award winning films such as Goodfellas and Nixon, Paul Sorvino has been honing his skill as a classically trained opera singer since childhood and has performed in various Broadway and regional productions in a career stemming five decades. In 2006 Sorvino starred in The New York State Theater at Lincoln Center’s production of the musical Most Happy Fella, garnering him rave reviews and introducing the world to his superb vocal range. The accomplished tenor has also performed at the Seattle Opera and Met Gala and appeared in his own PBS Special, An Evening with Paul Sorvino. “Opera has always been a grand dream of mine,‘’ Sorvino said, "I have memories of Robert Merrill at the Met, these are things beyond description…’’ Sorvino has a life-long passion for music and opera and is delighted to be able to perform these concerts. Many celebrity friends of Paul Sorvino are expected along with other VIPS including the Italian Consul General, Italian members of the Italia Cultural Institute, and Italian Cinema executives in from Europe for the American Film Market. Many celebrities are also expected to attend, including Mira Sorvino, Joe Bologna, Frank Stallone, Louis Lombardi, Vincent Spano, Sheriff Lee Baca, Brett Ratner, the Ferrignos, Renee Taylor, Shirley Jones, Marty Ingels, Oscar nominated song writer Carol Connors, actor Joe Cortese, Robert Forster, Chuck McCann, director Gabriel Bologna, Lainie Kazan, Norby Walters and many others. A proportion of the proceeds derived from this evening’s performance will benefit The Paul Sorvino Asthma Foundation Children’s Fund, a 501c3 charitable organization. Tickets are currently on sale for this performances of Paul Sorvino Sings at Ticketmaster. Tickets at full price range from $29 to $175. Members of Italian American organizations will have a discount on all tickets. Call for your reservation at 310- 890-7497, or visit www.paulsorvinosings.com for more info.